Team member Andre has two puzzles involving geometry. 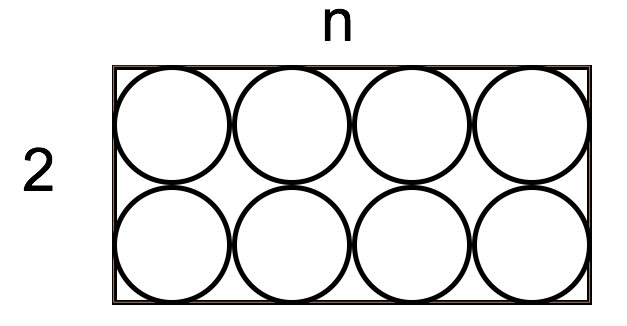 As illustrated at right, it is easy to place 2n circles, each with a diameter of 1, in a 2 × n rectangle. What is the smallest value of n for which you can fit 2n + 1 such circles into a 2 × n rectangle? 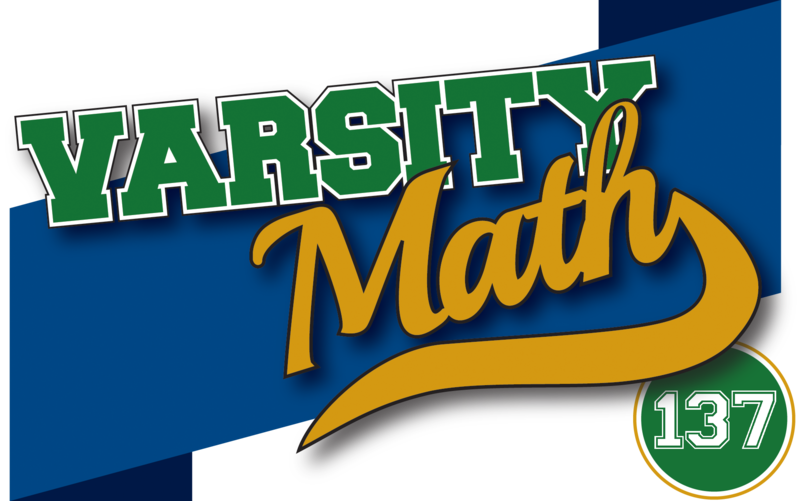 Show that all points on the circumference of a circle can be colored red or green so that no inscribed right triangle has its three vertices all of the same color. In Sevens and Elevens, Edward has a 7 on his hat. In Three-Digit Squares, Bob’s digit is a 4. Alice and Carl can have (1,4), (1,8) or (4,8) on their hats, in either order. Alice doesn’t see four 11’s; Bob doesn’t see three 11’s on Carl, Dave, and Edward; Carl doesn’t see two 11’s on Dave and Edward; and Dave doesn’t see an 11 on Edward, so Edward must have a 7. List all the possibilities for Alice, Bob and Carl as 001, 010, 100, 112, 121, 211, 144, 414, 441, 169, 196, 619, 691, 916, 961, 225, 252, 522, 256, 265, 526, 562, 625, 652, 289, 298, 829, 892, 928, 982, 234, 243, 324, 342, 423, 432, 136, 163, 316, 361, 613, 631, 004, 040, 400, 448, 484, 844, 259, 295, 529, 592, 925, 952, 567, 576, 657, 675, 756, 765, 667, 676, 766, 279, 297, 729, 792, 927, 972, 478, 487, 748, 784, 847, 874, 148, 184, 418, 481, 814, 841, 009, 090 and 900. Alice or Carl will know their digit immediately except for the following remaining cases: 414, 144, 441, 252, 256, 652, 448, 844, 484, 529, 852, 567, 765, 676, 148 and 841. Knowing only these remain, Alice and Carl will next reduce the set of possibilities to 144, 441, 252, 448, 844, 148 and 841. When neither makes an announcement, they can further reduce the possibilities to 144, 441, 448, 844, 148 and 841. All of these remaining cases place a 4 on Bob and he announces his digit is a 4. Alice and Carl can have (1,4), (1,8) or (4,8) on their hats in either order.